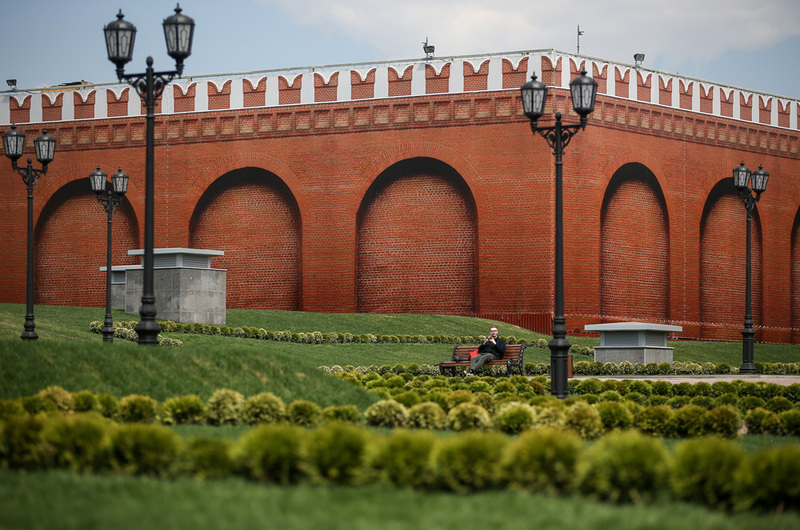 New archaeological discoveries have been made on the grounds of the Moscow Kremlin. These new finds will become the focus of a new tourist route, which is set to open on November 30, 2016. By the end of 2016 tourists will have yet another option to access the Kremlin. A new route is being created across the territory of the Moscow Kremlin with the starting point at Spasskaya Tower in Red Square. Tickets for this route will be sold separately. Russian President Vladimir Putin personally assigned the task to the Ministry of Culture on August 1. Today the only route for visitors to the Kremlin links the museums located on its grounds, with the only entrance being in Alexandrovsky Garden. The new route will feature "archaeological windows," displaying the basements of the demolished Chudov Monastery and Voznesensky Convent, as well as the Maly Nikolaevsky Palace. The monasteries, dating back to the 16th and the 14th century respectively, and Moscow's royal residence were leveled in the 1930s to make room for the construction of a military academy. Built in the 19th century, the Maly Nikolaevsky Palace served as the royal residence for the emperor's family during their visits to Moscow. In 1929 the palace was demolished, but the crew was running on a tight schedule, so after the removal of the debris, the basement was simply filled in with concrete, which enabled the preservation of part of the palace. Fragments from these historic buildings were discovered during archaeological digging in the eastern part of the Kremlin in 2016. "The basements of the monasteries we have discovered are a real breakthrough,” remarks Konstantin Mikhailov, the coordinator of Arkhnadzor, a preservation group. “Before we started digging, no one had supposed that anything could have remained there." Dating back to 1365, the Chudov Monastery is widely mentioned in the chronicles with respect to the events of the Time of Troubles (1598–1613). It was from here that monk Grigory Otrepyev ran off to become the usurper Lzhedmitry I (False Dmitry I). In 1812 Napoleon used the monastery as his headquarters and as accommodations for some of his guard regiments. It was also destroyed in 1929. "Starting the route at the Spasskaya Tower makes complete sense,” says Olga Sitnik, co-owner of the ExploRussia project, which focuses on individual tours for foreign visitors. “Tourists always come to Red Square, so they will be happy to complete their tour by taking a look at the dig." Established in 1386, the Voznesensky Convent was where the brides of Russian tsars prepared for their wedding ceremonies. Its churches were designed by the best architects of their time, including Carlo Rossi. The convent was also the final abode of ancient Russia’s grand duchesses and tsarinas, with about 70 tombs located on its grounds. Sadly, it was destroyed in 1929. Currently, Moscow does not offer any other archaeological windows, so the project will remain one of a kind for a while, according to Mikhailov. "Showing tourists and locals the depths of the city's history in the literal sense is a global trend which can be observed not only in Rome or London, but also in Vienna, where a number of ancient constructions have even been incorporated in underground pedestrian passages and subway pavilions," he says. The president's assignment to the Ministry of Culture will also cover further archaeological exploration of the eastern part of the Kremlin's territory. In essence, Mikhailov assumes that it will entail the creation of a permanent Kremlin archaeological expedition.